Packed with all the vital nutrients derived from fresh green and a dash of lemon juice, Super Green Detox Drink is indeed a magical drink! 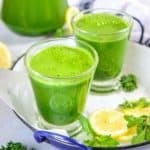 Here is how to make detox green drink recipe. If you are a health enthusiast by any chance then you would know the many benefits of consuming detox drinks. During my stay abroad, owing to the fresh veggies like carrots, celery, ripe green apples et al available round the year, I made sure to whisk up super healthy detox juices almost on a daily basis. 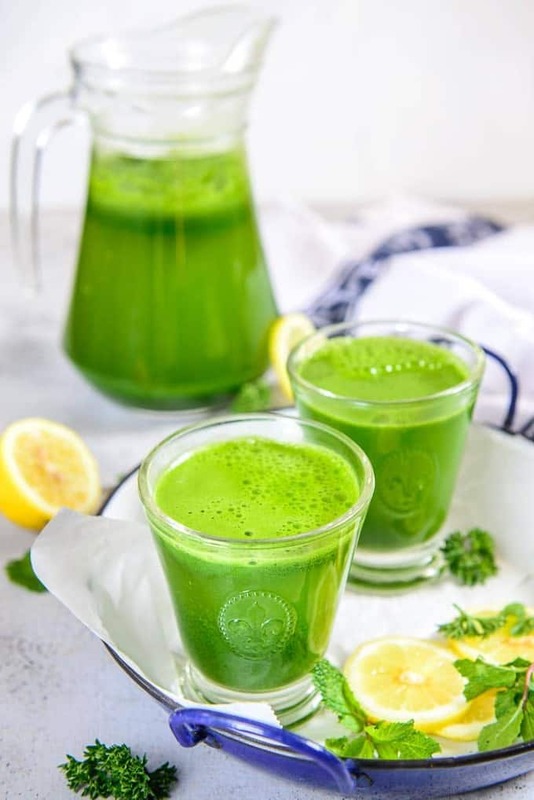 Out of all those umpteen juices that I made, Super Green Detox Drink undoubtedly turned out to be an awesome idea of pack the best of health in just one glass and that too in minutes. As the process of making Super Green Detox Drink includes just a nice mix of up of fresh celery, coriander, parsley, lemon, mint which I pluck fresh from my kitchen garden, it becomes quite rejuvenating and simple experience to sip this one just like Strawberry Cucumber Detox Water. Packed with all the vital nutrients derived from fresh green and a dash of lemon juice, this Miracle Drink is indeed a magical drink! The benefits of this drink might be slow to show up but they are prominent. Savour this one on a regular basis and it would aid you to delay the ageing process, provide strength to eye muscles, enhances memory, slows inflammation and more. 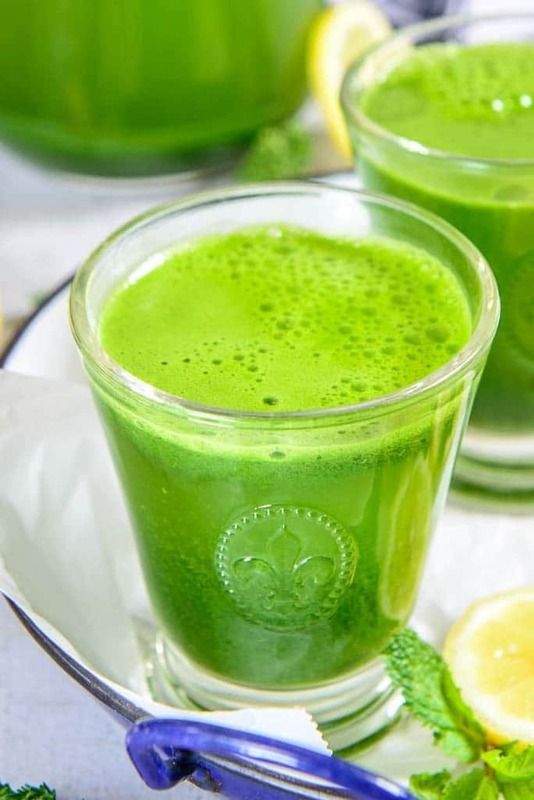 Fitness freaks or not, you must try out sipping Super Green Detox Drink at least once this year and you would have it on repeats because it shall surely cleanse your system! So, get going, note down its recipe and whisk it up! Packed with all the vital nutrients derived from fresh green and a dash of lemon juice, Super Green Detox Drink is indeed a magical drink! Add lemon juice, parsley, celery, mint and coriander in a blender and blend to make a smooth paste. Add this paste in water and mix well. Keep sipping this water through out the day. Check out more drink recipes here.